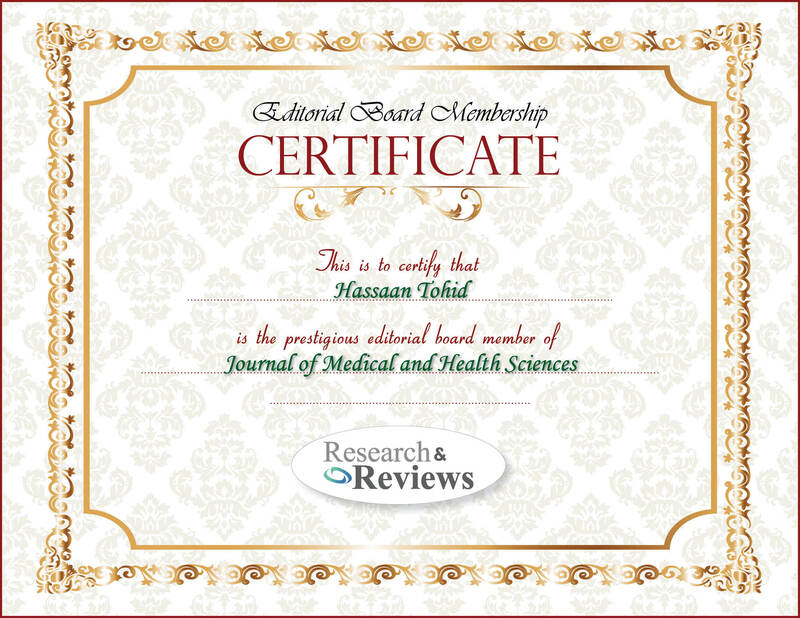 Dr. Hassaan Tohid MBBS is a Neuroscientist, inventor, public speaker, medical professional, researcher, book editor and a published author. His areas of interest include neurosurgery, spinal surgery, general surgery,human behavior, behavioral neurology, neuropsychiatry, general psychiatry, human psychology, neurology and clinical neurosciences. After graduating from Sindh Medical College, Karachi (Dow University of Health Sciences, Karachi, Pakistan) as a medical doctor. He then moved to the US and started his career as a researcher in neurology & psychiatry. He has been associated with the prestigious instituions of the world the University of California, Davis (UC Davis) and UCLA (past) and still holds a prestigious title of a visiting Neuroscientist at the Center of Mind & Brain (UC Davis). He is also involved in various research projects nationally and internationally in the countries like Australia and England. Tohid delivers lectures in Spanish, Urdu, Hindi and English languages. Neuroimaging, fMRI, EEG, denial (defense mechanism), epilepsy, psychogenic seizures, neurodegeneration ,mirror neurons, autism and autism spectrum, psychosomatics, psychodermatology, neurosurgery, cultural psychiatry, social psychiatry, different techniques of neuroimaging, nanotechnology and its relevance to neuroimaging, Psychopharmacology, Anti-GAD syndrome and Stiff person syndrome, Schizophrenia, psychosis, dissociative Identity disorder, Alzheimer’s Disease, Parkinson’s Disease, Amyotrophic Lateral Sclerosis and Stroke.